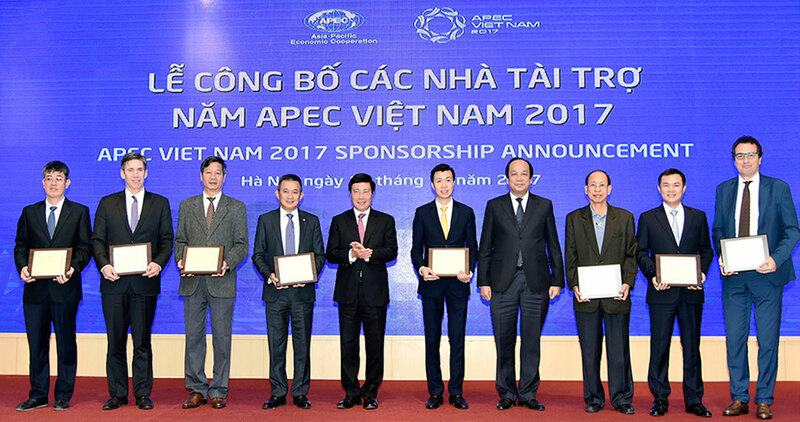 On October 17, 2017, the Sponsorship Announcement Ceremony was held in Ha Noi with attendance of government leaders, representatives from the Office of the Government, Ministry of Foreign Affairs, APEC 2017 National Committee and 31 sponsors. 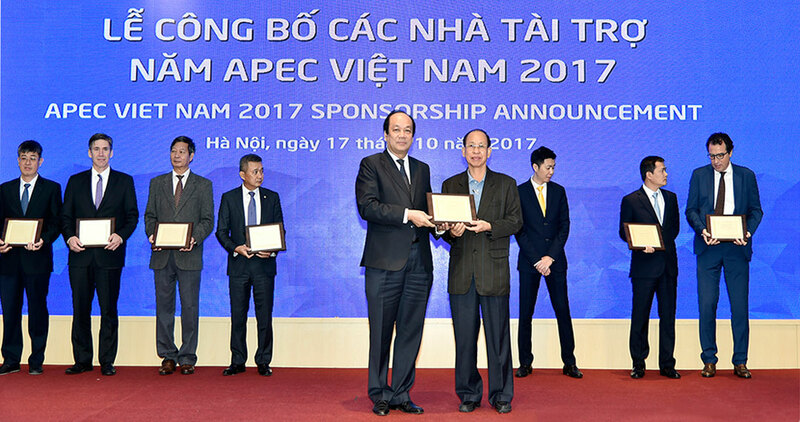 In this event, Minh Long was honored to be one of eight title sponsors for APEC Vietnam 2017. 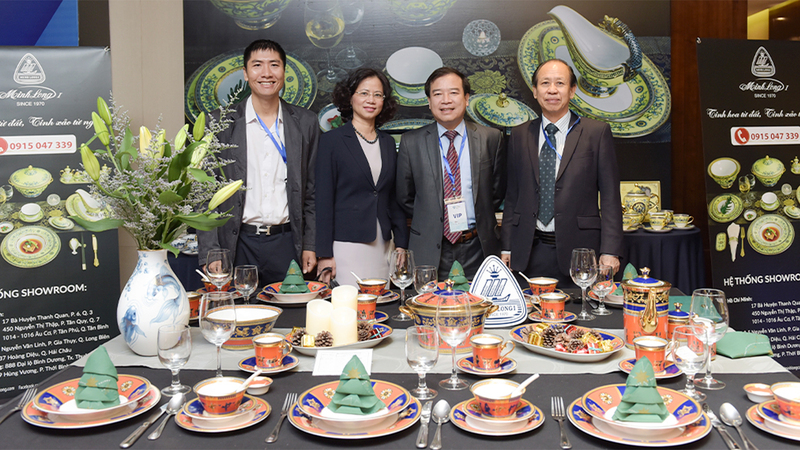 The porcelain producer is responsible to provide premium tableware items to serve during the official receptions and state banquets (Gala Dinners for senior leaders, their spouses and business leaders) and present as national gifts to 21 economy leaders during the APEC summit week. In addition, from November 06th to 11th, Minh Long also launches a cultural promotion stand at the International Media Center (09 Cach Mang Thang Tam Street, Cam Le District) and Ariyana Danang Exhibition & Convention Centre. 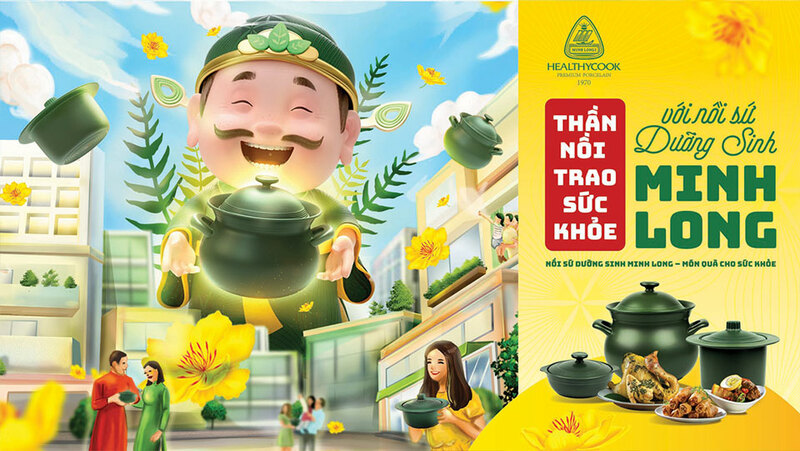 Promotional activities include participation in Vietnam Business Summit 2017 and APEC 2017 CEO Summit in order to pay homage to the country’s specialties in general. Through these activities, Minh Long hopes to convey a meaningful cultural and diplomatic message by displaying high-quality indigenous products, which helps promote both the country of Vietnam and its people to the world, join international diplomatic relations, honor and celebrate the historic event of APEC 2017. From the corporate’s perspective, Minh Long is proud to be the only long-established Vietnamese porcelain brand that meet international standards. This is the second time APEC Summit is held in Vietnam and the second time Minh Long shows its continued support through the sponsorship to the largest Asia-Pacific regional event. 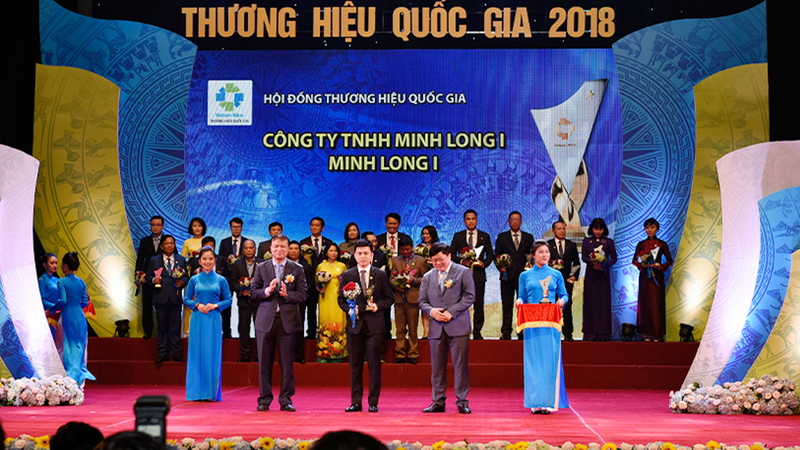 In 2006, when the event was first held in Hanoi, the APEC Cup by Minh Long was chosen to be the official gift of the government to give to 21 world leaders who attended the event. Years later, Minh Long has been selected many times as presents to foreign dignitaries from over 40 countries and display at major events of the country such as the National Congress of the Communist Party, the millenarian anniversary of the Royal City – Ha Noi, ASEAN Summit, etc. Cups and door gifts given at international conferences have been long related to the brand of Minh Long. After each occasion, the porcelain giant accumulates experiences in organizing and making the best products to serve at a successful series of APEC events. 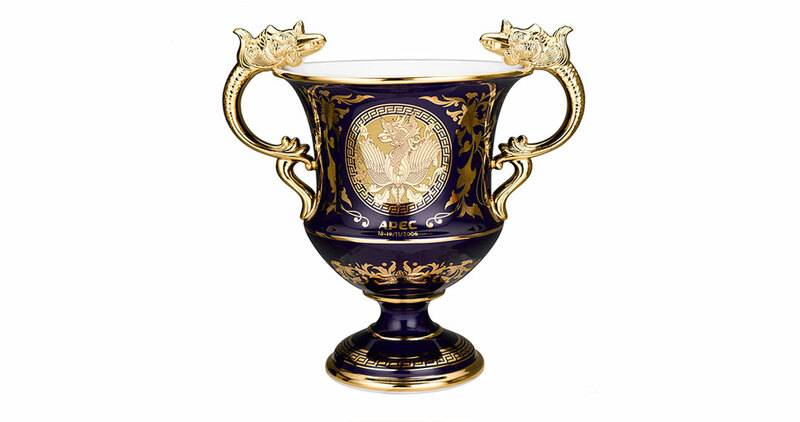 The APEC Cup by Minh Long was chosen as gifts from the Vietnamese government to 21 visiting leaders at APEC Summit 2006 in Ha Noi. APEC is the Asia Pacific’s premier economic forum. The primary goal is to support sustainable economic growth and prosperity in the region. The APEC celebratory year of 2017 is considered the most important multi-lateral diplomatic event hosted in eight major cities in Vietnam, and attended by 21 member economies, more than 10,000 delegates and international media outlets. According to Deputy Prime Minister Pham Binh Minh, chairman of the APEC 2017 National Committee, the commitment of corporate sponsors to the government and Communist Party’s effort in organizing the event has played an important role in the success of APEC Summit. These companies will have chance to upscale their branding and promotional activities, establish valuable networks, sign business agreements and explore new opportunities at APEC. Vice Chairman of the Office of the Government Nguyen Xuan Thanh stated it is the sponsors’ contribution that greatly helps send a diplomatic message to other countries: Vietnam is open to and highly values international friendship.